When I am called to a clients house for the first session - very rarely do they call me for help stopping their dog jumping up - nonetheless I usually get a very over enthusiastic welcome from one or five 'overfriendly' dogs when I walk in the door. The reason for this - many people do not consider it a much of a problem or they learn to tolerate it. Start as you mean to go on - from day 1 as a puppy do not encourage interaction where the puppy is allowed to jump on you or anyone else. If your dog has already got into the habit but you now want them to stop - make a rule with EVERYONE who interacts the dog that they do not allow them to jump up. It can be confusing for a dog if they're still allowed to jump on one person but not others. Myths - no your dog is not 'being the alpha' by jumping up on you. Dogs that are usually overly submissive can still jump up at their owners. Why do dogs do it? Because they are allowed to and have probably become accustom to it and may even enjoy it. 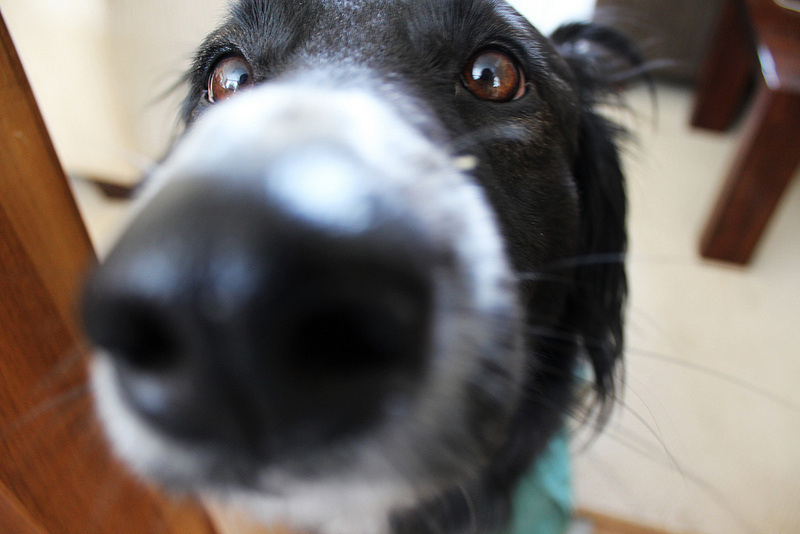 In your dogs eyes its a good way to get attention and even 'negative attention' is attention. Jumping up is bad manners and can easily lead to other undesirable behaviours.